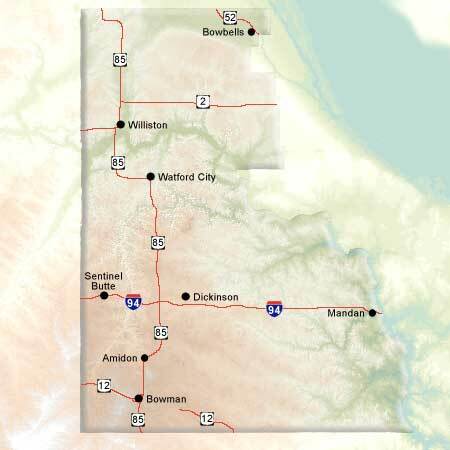 The western region of North Dakota embodies the histories of homesteaders, Native American tribes and early military campaigns. Several excellent museums and historic forts can be found here, as well as the historic western cowboy town of Medora and the Theodore Roosevelt National Park encompassing the beautiful Badlands. The Missouri River flows through this region. Outdoor activities abound, such as hiking, biking, horseback riding, boating, fishing and wildlife viewing.